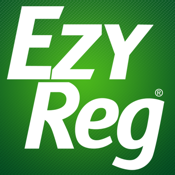 EzyReg mobile lets you manage your South Australian vehicle registration through your iPhone. You can securely pay your registration renewal and check on the registration status of any vehicle registered in South Australia (this is very important as it is the driver’s responsibility to ensure the vehicle is registered before driving). EzyReg mobile stores a history of payments made through the app and can also locate Service SA outlets and other registration and licensing services.